The Art Gomperz Band are a sparkling little combo with a sound as fresh as a mountain stream on their CD, A Different Story to Tell. With a classic line up of acoustic guitars, Dobro, mandolin, banjo and bass there are no surprises in these 12 cuts which range from bluegrass to country folk to gospel. Fronting the band is Jenna Mammina whose voice is attractive and well suited to the genre. The album as a whole is a tribute to and based mainly on the songs of the late Bev Hahn with whom band leader Dan Geib played as a duo and whom he planned to record these songs with. Following her death Geib decided to record the songs with the new band line up, recruiting Mommina to deliver the words. While Geib and Mommina both contribute songs the standout is Hahn’s Don’t Worry Anymore, a fantastic piece of country gospel which the band whips into fine shape with a fine sense of exuberance and where Mommina sings like an angel in the vein of Loretta Lynn. Overall a nice little album and a worthy tribute to someone whose loss was obviously a major blow to all involved. Earl Pickens and Family caused a minor stir a few years back with their bluegrass version of U2’s album The Joshua Tree. Gathering is a collection of original material that shows that they don’t need to rely on the Irish superstars for material. The opening song Time is a fine bare boned ballad with some plaintive fiddling from Bruce Derr. Do You Have a Secret is a dark bluesy song with sinister fiddle and skeletal banjo which is enhanced by some spectral keyboards. The band can also produce attractive country pop as heard on The Broom which showcases the harmony vocals of Pickens and Jessie Yamas while fiddler Derr references the old song Diggy Liggy Lo. All this and no sign of Bono, a definite plus. This is rain drizzled neon lit night music and Flynn captures it again on several other songs on the album including The Pennywhistle Lament. 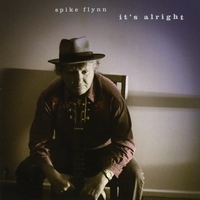 With a voice that at times is similar to Butch Hancock, Flynn also turns in some well written uptempo folk songs, That’s The Way it Goes in particular sounds as if it should be a folk song standard while Falling Rain Blues is similar to latter day Bob Dylan especially on Time out of Mind. All in all this is terrific stuff. Winding up this roundup we have US 32, a husband and wife team who on Tumblin’ Home rollick through 13 songs that in turn are catchy (Mabel’s Car, Credit Cards), evocative (the title song, Hamer House) or plain beautiful (Under the Bridge). Named after an American highway Michael and Christy Kline take the listener on a tour of Americana with some excellent back up from accomplished players on fiddle, mandolin, lap steel and pedal steeel guitars. Mabel’s Car with Christy on vocals sounds like one of Kathleen Edwards’ poppier efforts while she nails a sweet country voice in Under The Bridge, a tearful lament of lost love caressed with pedal steel and fiddle backing. Husband Michael’s voice is less impressive but he manages to deliver on Chasin’ the Sun, a jaunty tale of leaving one’s troubles behind and heading for the horizon in the hope that things will improve. He fares better on the title song, a civil war tale based on a letter written by Kline’s great , great uncle who fought in the war. With whistles and bagpipes evoking a martial feel the song is slightly out of place compared to the rest of the album but is undeniably heartfelt. This entry was posted in Reviews and tagged Americana, Art Gomperz Band, earle Pickens Family, Spike Flynn, U2, US 32. Bookmark the permalink.